A Year of Being Here: Linda Gregg: "Being"
"Being" by Linda Gregg, from In the Middle Distance: Poems. 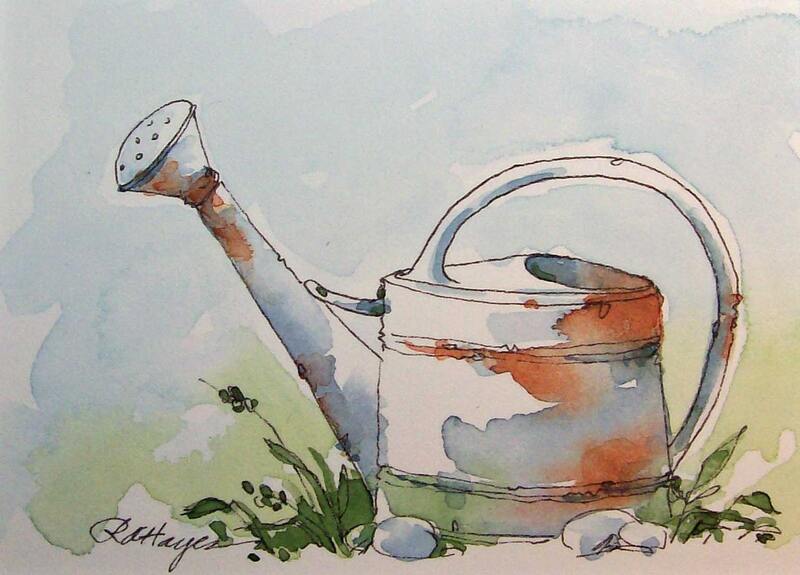 © Graywolf Press, 2006. 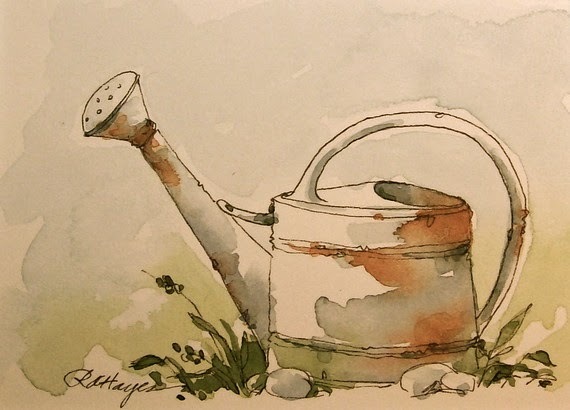 Photography credit: "Old Metal Watering Can," watercolor painting by RoseAnn Hayes (originally color).